It’s usually not the presence of an innate talent, and it’s usually not a particularly unattainable skillset. What decides whether someone will be good, great, or phenomenal are “soft skills” like caring, focus, perspective-taking, continuous study, and a willingness to serve. My guest today has all of these soft skills in spades. Not only is he a highly respected cardiothoracic surgeon, he’s gained world-acclaim and become a household name by devoting himself to sharing prevention strategies to keep folks from ending up on his office in the first place. You’d think that in the field of medicine, it would be obvious to help people prevent their illnesses in the first place (rather than being forced to treat them with drugs and surgery after the problems have occured). Unfortunately, our culture was lost for a few decades, and that reality was simply not the case. Though, we’ve still got a long way to go, folks like Dr. Oz have stepped to the forefront to teach people how to take ownership over their own bodies. Through his books, audio programs, and award-winning television show, he’s been teaching people all of the latest and greatest in the field of health and wellness. He knows the doctor’s role as an advocate, coach, and supplier of conventional treatment when in need. But he also knows how important it is for you to understand your OWN body and do your part as the primary caregiver to that amazing physique you live in. On today’s show, you’re going to learn some of the best tips and insights to understand and care for your body a little better. Being that Dr. Oz’s platform is so large, he’s bound to have a plethora of criticizers waiting in the wings to downgrade the things that he’s doing. True enough, you don’t have to agree with him or anyone else 100 percent (I’d even caution you agreeing with yourself 100 percent lol!). But the reality is, he’s a pioneer in the field of health, wellness, and integrative medicine who’s helped popularize many of the commonly held facts about wellness that we’re all taking advantage of today. This episode is a real treat to know more about the man behind the mission, plus you’ll get some actionable health tips to walk away with as well. Enjoy! Three things that all world-class performers have in common. The surprising impact that turkey tail mushroom has on ulcers, cancer, and HIV (you need to know this!). What inspired Dr. Oz to focus more on preventative medicine. How the bestselling YOU health books became such a huge hit (and the incredible purpose behind them). Whether or not eating fat-filled nuts are associated with obesity and weight gain. What metric is far more important to monitor than your bodyweight. Why there’s an important benefit to your body storing fat. How the hormones leptin and ghrelin work to control your appetite. The huge role that your liver plays in keeping you fit and healthy. Why heart surgeons use magnesium on their patients. Which heart-healthy foods to regularly include in your diet. How plants use colors to protect themselves (and what this does for you). Why Dr. Oz does a 7-minute workout each morning. Listen, it feels really good. I'm back home at my home studio, got my team in here, and I've just been on an epic adventure, and of course I brought back some valuable gifts for you. I've already put out a couple of the interviews that I had the opportunity to be a part of while I was out on the road. So Chalene Johnson, Lita Lewis, got another one for you today, alright? I jumped on a plane and flew out to N.Y.C. to interview one of the greats walking around on the planet. But it also got me thinking about what really constitutes somebody being world class at what they do? Right? Not just good, not even great, but world class, right? Absolutely phenomenal at what they do, and I've had the opportunity- the great blessing and opportunity to be around some of the truly world class individuals in their field, and those are the people that I strive to bring for you here on The Model Health Show. And so there were three specific things that I've noted as being a consistency with all of these different individuals. One of those things is study, alright? Study. They didn't just wind up being who they are on accident, alright? It wasn't some just natural talent. They study, they actually invest in their field, they make sure that they stay up-to-date and on top of the latest research. They make sure that they are cultivating an attitude of being a lifetime student, right? So if there's anything in your life that you want to be great at, that you want to be world class at, then you have to make it a study, right? This doesn't just happen on accident. If you want to be absolutely phenomenal at your finances, you have to make it a study. Most of us just kind of- we grow up, our mom gives us like $5.00, and we figure out money from there, right? It's just like a trial and error situation versus like let's learn about money, let's get some books about it, let's listen to some interviews and some lectures by people who are absolutely world class at that. Same thing with relationships. Right? Same thing obviously with health and fitness, and that's what we really focus on here at The Model Health Show. So study. If you want to be great at something, you have to make it a study. If you want to be world class, you have to make it a study. Another thing- so that's one. Another thing is this really amazing focus that I'm noticing in all of these world class individuals. They have this really powerful sense of focus that they bring to their life. So again, they didn't achieve what they have on accident. They are focused, they are crystal clear on what they want, what they're about, and they're continuously focused on moving in that direction. Alright? So ask yourself, do you have a sense of cultivated focus in your life, right? Are you crystal clear on what you want? Are you focused on that and moving in that direction? If not, then good news, number one we do have some episodes of The Model Health Show that focus on that, we'll put them in the show notes for you, so check the show notes. But outside of that, I promise you, once you get clear on what you want, there are actually parts of your brain, the reticular cortex, the reticular activating system, just to name a few that are primed and constantly scanning your environment, scanning the database to bring you closer to the things that you're focused on. Right? You've had this happen before. You know? Maybe you see a new car that you really want, right? You're into this particular car, and all of a sudden you start to see the car everywhere, you know? Your reticular activating system is now primed and looking for this, scanning your environment to see this car, right? Or if you get a new car and you have that same thing happen. It's just like it was probably there before, around you, but your attention wasn't focused on it. So we don't want to just use this gift that we have randomly, so get focused on what you want because truly this is what world class performers are doing. They're focused and they're moving in that direction. Third thing that I'm seeing as a consistency with these great individuals who are just absolutely world class at what they're doing, and this is one thing that can get glanced over. They have this really powerful expression of giving, alright? This is something I've seen over, and over, and over again. These are some of the most giving, kind natured human beings, and it's not an accident they're in this position. We think there's this psychological fear that we have, it's kind of this lower level- you know we have three brains that kind of evolved on top of each other, right? We've got the amygdala, this kind of reptilian brain, we've got the limbic brain, we've got the more evolved prefrontal cortex. That amygdala can hijack your life and tell you, "Don't give them anything! What are you going to have left?" Right? Scarcity, right? Hoard, hold on, don't give, you don't want to be left out in the cold, and that is totally counter to what human nature is, right? Ultimately as we evolve. Of course there is a level of survival that we need to be aware of, but most of us are not in a state that we need to be concerned about survival. It's more so how do we work together as a community to make sure that we're not just surviving, but we're thriving. And so again, I love the quote from Booker T. Washington that says, "Those who are happiest are those who do the most for others." And these world class performers have discovered this, and they give in a big way. Right? And so- and the person we have on this episode fits all three of those categories in a really powerful way. And I can't wait to share this with you. But I want to share something with you that I've been studying today, funny enough, I was just going through and looking at this. Have you heard of a mushroom called turkey tail? Turkey tail. It's kind of a funny name but it's because it kind of resembles what a turkey tail looks like, but the scientific name is trametes versicolor, alright? Trametes versicolor. What a cool name! And here's the thing, in studying turkey tail, and I've been studying turkey tail for probably somewhere around five or six years that I've been aware of it and kind of looking into the data occasionally, but today I did a deep dive into it. And turkey tail has been found to have incredible anti-tumor properties, anti-viral, anti-bacterial, and also it's really a great anti-oxidant as well. Specifically what's being studied, one of the compounds from turkey tail is something called polysaccharide K, or PSK, and it's derived from this particular mushroom. It has actually been approved as an anti-cancer medication in Asia, alright? In certain parts of Asia, this is again something that's prescribed, a simple extract from this medicinal mushroom for treatment for cancer, specifically stomach cancer. Now here's the study. In 2013, researchers in China conducted studies on turkey tail and found that it had anti-ulcer effects and it could selectively inhibit gastric cancer cells' viability. Alright? So them being able to thrive, those cells. But here's the thing, I don't want you to miss it, selectively inhibits cancer cells. So unlike conventional methods of cancer treatment that kill all cells, if you think about something like chemotherapy which is very effective at killing cells, but it also kills cells that you don't want to die, alright? This is why we see folks with just having destruction happen to their immune system and eventually seeing a reoccurrence of cancer because their immune system has been hit so hard. And it's basically a, "We'll see if you can outlast this therapy." Right? "If your good cells can outlast us killing your bad cells and your good cells." And it's a very extreme method, but it's also again, it's effective but maybe there is something better. And so even adding this to the mix, research is indicating that turkey tail can help to regenerate and rebuild the immune system for folks who have gone through chemotherapy. So it can even be something that's a compliment. Alright? And that's just one thing that I looked at today. Another compound in turkey tail, which is polysaccharide peptide, or PSP, was found to prevent the replication of the HIV virus. Wait, what? You've got to let that sink in, alright? Found to prevent the replication of the HIV virus. Unbelievable. Right? It's incredible, you know? And again, a lot of folks don't realize that there's about 30% of our medications, that conventional prescribed drugs are actually derived from funguses, right? Mushrooms are just in that category. So medicinal mushrooms, what's so great about this is that we've got thousands of years of documented history oftentimes in systems like Chinese medicine, but today we're utilizing our new technology to affirm what has already been known and documented for centuries. So really, really awesome. Now the reason I've been really digging into the literature with turkey tail is that I've added it to my daily regimen recently in the form of a delicious chai latte, alright? Chai latte. I don't know if you're into the chai, but I'm a chai guy, alright? I'm a chai guy for sure. So chai, we've got some of the kind of ancient ayurvedic principles incorporated there with the cardamom and the cinnamon, all these things that are proven to aid in digestion, but also very, very strong anti-oxidant foods, very high on that ORAC scale. But combine that with turkey tail and rishi, and this chai latte comes from Four Sigmatic, alright? Four Sigmatic. When I got back from my long trip, just all these different cities in a couple of weeks, my chais were there waiting for me. Brand new product, and it has been going crazy. People are absolutely loving it. So it makes it easy to get those medicinal mushrooms into your body. Here's what's different about what Four Sigmatic does versus company X, because there are a lot of different supplements out there that have turkey tail. Four Sigmatic does a dual extraction, they do a dual extraction so they're doing a hot water extraction and an alcohol extraction to be able to actually pull out the PSK, the PSP, the terpenes, the beta glucans, all the different things that using only one extraction method, you're not going to get everything, and that's why I absolutely love them so much. And every day- I mean you should see my cabinet, it's stocked up with Four Sigmatic stuff, alright? But I want you to check out the new chai latte and take advantage of the turkey tail. By the way, the best way to do it, unsweetened vanilla almond milk with the chai latte from Four Sigmatic. Just throwing that out there, alright? So make sure to check that out. And also, by the way, because it's just flying off the shelf right now, also they have turkey tail included in some of their superfood mixes. So these are like- some of them are like mushroom complexes that you can take a teaspoon and add to your coffee, add to your lattes, or your smoothies, things like that. So you can check it out as well. So that's www.FourSigmatic.com/model and you're going to get 15% off all of this stuff, every single thing there that Four Sigmatic carries, you get 15% off. Alright? So it's www.FourSigmatic.com/model, 15% off. I already went through the benefits of turkey tail, don't get me started on chaga, don't get me started on rishi, and its clinically proven benefits for improving your sleep. Just amazing. Make sure to check them out, www.FourSigmatic.com/model. And on that note, let's go ahead and get to the iTunes review of the week. ITunes Review: Another five-star review titled, 'Game Changer,' by Stephanie2828. 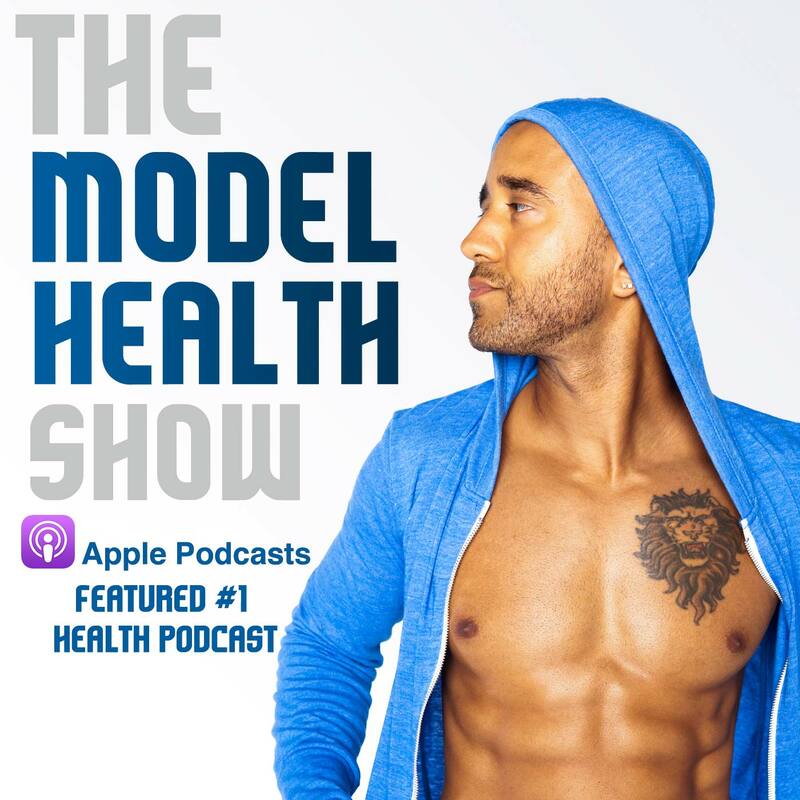 "The Model Health Show has completely changed my life. Shawn discusses topics that are relatable to everyday life, and learning these small hacks changes your everyday routine. Shawn brings experts from every topic on the show ranging from health, exercise to sleep, and healthy relationships, foods, motivation, and work. He's also hilarious. 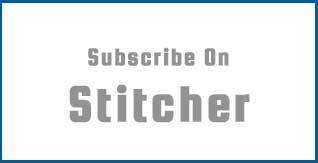 This is one of my favorite podcasts that I listen to daily. Everyone from students, adults, and even children can relate to this podcast. Can I give this podcast six stars?" Shawn Stevenson: Thank you so much for leaving me that review. That is so awesome. Six stars, I love it. Thank you, thank you, thank you. And everyone, thank you so much for heading over to iTunes and leaving me a review. I truly, truly, truly do appreciate that. And if you've yet to do so, it's okay. Alright? You can do it now, alright? You can pause this, go and leave a review, come back. Alright? I appreciate it immensely. So if you've yet to leave a review over in iTunes, please pop over there and leave a review and let everybody know what you think of the show. And on that note, let's get to our special guest and topic of the day. Our guest today is the incredible Dr. Mehmet Oz. He's an MD, and cardiothoracic surgeon. He's won eight- eight daytime Emmy Awards for The Dr. Oz Show. He's the Professor of Surgery at Columbia University and directs the complimentary medicine program at New York Presbyterian Hospital and performs more than fifty heart operations each year. And he's somebody who's an absolute pioneer in his field, and I've learned some things from Dr. Oz way, way back at the beginning of my career, and he's just been somebody- again he abides by those three things, he lives by those three things that really constitute when somebody is doing things at a world class level; the study, the focus, and the giving. And I think you're really going to get a lot out of this interview, so with no further ado, let's go ahead and kick to this interview with the one and only Dr. Oz. How are you doing today? Dr. Mehmet Oz: It's always a pleasure to be with you. Shawn Stevenson: It's totally my pleasure. Totally my pleasure. So I want to start with your superhero origin story. Alright? What got you interested in health and fitness in the first place? Dr. Mehmet Oz: So when I was about seven years of age, my dad who was a surgeon would start taking me to the hospital. And I remember going to an ice cream shop - Peterson's Ice Cream in Wilmington, Delaware where we were living. And I was waiting in line, and the kid in front of me was probably ten, which at that age is a big difference, three years of difference because I'm seven, he's ten. He was waiting for ice cream, my dad said, "What do you want to be when you grow up?" The kid said, "I don't know, I'm ten." It's a reasonable answer, and the kid gets his ice cream and moves along innocently. My dad looks at me and says, "I never want to hear you give that answer." He said, "I don't care if you change your mind a hundred times, but I want you always to know what you want to do so you're aimed in the right direction." And so he asked, "What do you want to do?" And I said, "Well I sort of like what you do. I like the fact that you get to go in there, and take care of people." And I still remember being surprised that my dad, who was a surgeon, would put needles in people, which was the worst thing I could imagine, and they'd be happy. They'd thank him. How bizarre is that, that you could do something that's on the surface harmful, but deep down you know that it needs to be done, and so does the person you're trying to help. And the honesty of that, the integrity of that really captured my attention. So I told my dad I wanted to be a doctor, and I just never changed my mind. It did impact my life in many ways, I played sports through college, I studied my body to be able to play sports. I got smarter and smarter as I realized certain things would make me yawn on the sideline and other things made me a tiger, and then I began to realize it wasn't just about genetics, there were other things that I could do to hack my body to perform at a higher level. When I went to med school I learned a lot about why those things worked, and I started to realize as I advanced in my life that I was helping people in the ways I thought they needed to be helped, but it was a little too little too late. It was my wife really who was the catalyst who would pester me, it was the last voice I heard falling asleep at night saying, "People aren't getting the message because you're not giving it to them. Doctors aren't giving them the message that we need to hear. You're doing your best in your offices, but they need to hear it before they come to your office so that it really sinks in." And that's why I've dedicated my life to what we're doing now. Shawn Stevenson: Absolutely. So was this kind of the catalyst for the YOU books? 'YOU: The Owner’s Manual.' That was my first introduction to you, so I was just fresh out of college listening to the audio book in my Ford Explorer. Just fascinating. Dr. Mehmet Oz: As you drove along in your Ford Explorer, what you were hearing was a vision that actually Lisa, my wife, had articulated. It took me a little while to get it, but when I finally got it, it got on my vision board too, it made a lot of sense. And there's a doctor named Mike Roizen who's at the Cleveland Clinic, and the two of us started collaborating because I had made a series of shows for The Discovery Channel called Second Opinion, and my thought was, "Everyone ought to get a second opinion." And that can be actually a second opinion from someone who's knowledgeable about health, not necessarily another doctor, because you want to triangulate decisions you make in your life. And the series had run and we thought, "There's so much stuff here we've got to talk about with America," and the problem is people see health content is sour and dower. Everyone thinks that if it's healthy, it can't be good. I can give you an example. Companies that make food will often- even if they make it healthier won't admit it because they assume you'll think it doesn't taste good anymore. And so we're in a society where people will hide the good stuff almost because they don't want to turn you off. I'd love it not to be that way. I mean I love understanding my body, I adore that I can change it for the better. I think people like that, when they can finally get past their fear of not understanding what's really happening, and so we started to say, "Okay, how do you best do that?" Well the most intricate things you have in your life, your electronics, your refrigerator, your car, they all have owner's manuals. Dr. Mehmet Oz: Except you. And then we thought, "Well you know, if we just say it's about you, well you can't duck." And it's not the I'm pointing at you, blaming you 'YOU.' It's the font, "Hey, how about you man? Where are you with this thing? Why aren't you showing up in your own life?" And Mike Roizen's ancestor / relative had made the US Army posters with the guy- Uncle Sam pointing at you, the recruitment posters. Dr. Mehmet Oz: And so it was that same finger. And so we took that hand pointing at you, tried to make- so much went into this, I can't tell you. Try to adjust your head so it's not an accusative head, but a supportive, "Hey come on over here, guy. We can do it together." And that was really about you. The whole mantra was be part of us, all of us, because we all do it together. And if you come along with us, we'll make something really big happen. And that made- the first book was called 'YOU: The Owner's Manual' because we figured the most valuable thing you own that dwarfs in importance anything else you ever got from your parents, your body ought to have an owner's manual. Dr. Mehmet Oz: So you actually know how to use it. Shawn Stevenson: Oh man, I totally agree with that. And I think it's one of the greatest gifts that you can have is to understand this amazing body that you live in. Like we're not leaving here with anything, right? It's kind of like a little morbid, but somebody's going to live in your house one day, right? Shawn Stevenson: But your body is the one thing you own. Like this is your home, and the more that you can just basic stuff know about taking care of your body can empower you. Dr. Mehmet Oz: But for a lot of people, it's an away game. Right? They don't really understand their body so they're never quite comfortable in it. Shawn Stevenson: Right, and they outsource it. Dr. Mehmet Oz: Exactly. And then we get into problems because then it's really hard to put the pieces together and you don't trust the deepest most valuable judge, your own instinct. Do you feel good with that or not? And I think not trusting that becomes a problem. That's why I think people will have trouble with diets. You go on a diet that's so miserable that you can't possibly do it your whole life. I mean your life will seem longer, but it won't be longer. And so you want to get people to do what they love doing, and just happens to be healthy. And that's why I think thin people who are thin stay that way. I mean I'll give you an example. I've been roughly the same weight- I actually lost a little weight since I was playing football in college just because I had more muscle. Now I'm a little weakling, but my fat content is probably not all that different. I love nuts. I mean, I adore them, and I used to always feel badly when I was eating nuts because I knew they were fattening, and I was eating something that was going to make me fat, but I never seemed to get fat. Go figure. And then I finally started researching it, and it turns out every study ever done on nuts shows that people who eat nuts actually lose weight or stay the same, they don't gain weight. Then I got to thinking, "Well why was that? It's fat, if any fatty things make you fat, then why isn't it making me fat?" And I had the epiphany. I think everyone sort of acknowledges now, and I don't know why I was so late to come upon it, that the body is not counting calories. Your brain doesn't care about calories, it cares about nutrients. Give me the stuff that I need to live my life, and if it doesn't have a lot of calories or empty calories, you'll be fine. And then I think the whole fat milk versus skim milk, same kind of battle. If you're not going to drink milk at all, I get it, that's okay. But if you're going to drink milk, there's no reason to torture yourself with skim milk, because I've never seen a single bit of data showing that it helps you lose weight, because your body wants that healthy fat that comes along with it- the fat that's acceptable that comes along with milk, so why not give it to yourself? Shawn Stevenson: Right, and also there's a problem with semantics, you know? We believe that fat, F-A-T in food ends up as fat, F-A-T on our bodies, which it just biochemically doesn't work that way. That's like thinking if you eat blueberries, you're going to turn blue, right? It just doesn't work that way. And so also one of the other things that I first learned about was from you was leptin and ghrelin, and I think it was 'YOU: On a Diet' maybe. It was in that book. Again, in Automobile University learning about this stuff. Now there's a lot of double entendres there. Waist was actually W-A-I-S-T, it's your waist. It's not your weight, actually it's your waist that causes the problem. I just remind everybody, you want your waist size to be less than half your height. So 5'9" is five times twelve inches is sixty inches, plus nine is sixty-nine inches. Divide it in half, thirty-four and a half inches. So your waist size- you're slim, so you're like a greyhound here. But your waist size can be less than thirty-four and a half, but it can't be more than that without starting to run into problems of metabolic syndrome, with diabetes, and blood sugar, and blood pressure, and the like. But those kinds of math equations became pretty helpful, but I'll never forget the first paragraph in the book. We would write these things in a writing group. So it was me, and Mike Roizen, and a guy named Ted Spiker who's a brilliant writer, and we would all sit for hours and hours on Sundays. Every Sunday for years we would write these books. And by the time we were done, I think we had eight New York Times bestsellers, just because they were so much fun for us to write, and thus fun for the reader. But we were right, and the opening line became, "Why is it that so many of you reading this book right now can be seen from Google Earth?" And I know it sounds mean, but it was poking a hole in that veneer we have about this. The fact of the matter is, if what we were doing was working, it would have worked by now. So we had to trust you, the reader, to help figure out what works. Shawn Stevenson: Yeah, and that's what it's really about. Again it's very empowering, and one of those things that kind of goes back and connects with when you were talking about eating nuts, and how it affects- it's the nutrients involved, and how it affects leptin and ghrelin. So again, learning about those things first from you, can you talk a little bit about the role that leptin plays and ghrelin plays? Dr. Mehmet Oz: So leptin is like a leprechaun. Think of it that way, easy to remember. It's a hormone secreted actually by fat cells that tells your body, "Hey I'm here, you've got me covered. There's lots of extra fat here. You have a lot of calories stored up in cases of famine. You don't have to go out and find some more food." Because remember, there was a benefit to fat being stored, right? Our ancestors would be able to uniquely store fat, especially in the omentum in times of feast when we had lots of food in summertime, so that in the times of famine, the long winter because winter was coming, you'd be able to survive it. And our ancestors who didn't have the ability to store fat, they stayed like gazelles all year long. Guess what happened to them? They died because when you had a famine that was extended, they didn't have fat stores. Most of us have 100,000 calories of stored calories. Shawn Stevenson: That's a lot. Dr. Mehmet Oz: Which it's a lot, and it's more than you need, but it makes sure you're not going to die. You can go a long time with those fat stores. So fat is uniquely capable of storing calories and it doesn't burn those calories, which is a problem today because we store the fat, it doesn't actually burn off any calories, so it's like a little metabolic furnace. Unlike muscle, when you build muscle mass, even when you're not exercising it's burning off your calories. That's why young men can stay thin and it bothers the women because they don't have the muscle mass. But you know, as we get older we lose that muscle mass, and men actually are fatter than women in America today. So ghrelin, the other hormone- it's the yin yang. Everything in the body is pretty much balanced. So leprechaun leptin is saying, "Hey I've got you covered, don't eat any more fat, nothing else needed." Ghrelin is the hormone secreted by your stomach that says, "I'm really hungry," like a gremlin, because it feels short-term hunger pangs, and will tell you to eat. So one hormone says eat, one says don't eat, you need to balance them out. The problem with dieting in general is there are a dozen redundant systems to weight loss. A dozen. I mean there are only two to make you breathe when you go under water. So how many of you can hold your breath indefinitely under water? It's sort of hard to do and that's because of those darn biologic systems. So the biology of blubber is the redundant system to make sure you will eat, because there's no survival benefit to starving yourself. So you really can't force that to do anything. You can nudge it, and most of the hacks that you and I both speak about, and other folks who spend time in this area are designed to do just that, to take your normally existing biology and push it in the right direction. I'll give you one good example. Ghrelin, when secreted, makes you feel hungry, and when you eat, it takes about thirty minutes for the ghrelin levels to fall back to normal. So there's two important observations here. The first is that it takes thirty minutes, which means if you sit down for a meal and you're hungry, you're going to eat three meals. You can eat a meal in ten minutes, and you're not going to feel full until you finish the third meal because that's how long thirty minutes is from when you start, and you've eaten too much. And we've all had that moment where you say, "Oh my goodness, I really ate a lot. I didn't think I was that hungry." So if you, a half an hour before a meal, can eat some nuts, a piece of fruit, anything- any calories. At that point, I don't care if it's a candy bar. A half an hour before a meal, put something that's nutritious in your body. When you actually sit down for the meal, you won't be quite as hungry, and that's a real trick of people who keep their weight stable, they're never truly hungry. The second big takeaway is ghrelin, as I mentioned, is a hormone that's stimulated by your stomach when you're hungry. When you eat, you feel really good because you've satisfied that pain. If when you eat, you don't feel good, but you rather feel relief, that's not true hunger. That's actually addiction, and so when your addictive feeling is wearing off, like when you do drugs- people who do drugs don't feel good, they feel relief from the pain they were having when they didn't have the drugs in their body. To differentiate true ghrelin related hunger, when you feel good when you're done eating, from the withdrawal from an addictive process like wheat or sugar that your body just couldn't cope with. Shawn Stevenson: Wow, that's fascinating. So folks who tend to do great with their weight are never really hungry. That's a powerful statement because we mostly believe that if you're not hungry all the time, you're not doing it right, and it's really the complete opposite. That's incredible. Dr. Mehmet Oz: The research has shown over and over again. The longest the population as a planet have a tradition of only eating until about 80% full. They're not hungry, they're okay. Shawn Stevenson: Yeah. Your latest book is called 'Food Can Fix It.' So I would love to know from your perspective, what is it about food that it can do so much good in our bodies? What is it? Dr. Mehmet Oz: If you understood the subtlety of how the liver can metabolize everything from the medications we give you to the foods that we eat ourselves, you would be shocked. The liver is the biggest internal organ in the body, second to the skin by the way, it's the biggest organ. It's gargantuan, fills up the entire right upper quadrant of your stomach. It's the filter of the body, it's the detoxifying organ, and all the nutrients we eat are pretty much metabolized in the liver. And it's either turned into really good stuff that you need to run all the systems in the body, or it's turned into fat and you get foix gras for liver basically. People who are overweight, that's actually my biggest fear usually, because the fat builds up in the liver, you don't know it, and some of those people get cirrhosis of the liver. But if not, they end up with other problems with the liver's ability to just detoxify your life. And we know this from the liver's ability to detoxify chemicals like the pharmaceuticals we give you, we have to study it quite meticulously. It took a long time to understand how a liver can metabolize a piece of fruit, or broccoli, or raspberry, because that's not stuff that is that easy to do and there wasn't a lot of money invested trying to figure it out. So all the things your mom was saying about food, it's she learned because her mother told her, and thousands of years of human history reinforced were true are now finally literally over the last couple of years being proven to be effective, and it took us that long to do the subtle research required to figure it out. And I only bring that up because I wrote 'Food Can Fix It' after taking a decade hiatus from writing books, a decade, because I didn't feel compelled to say anything. But as I learned more, and much of this was research gathered by my team on the show about exactly how food affects our health, I thought it was the right time to put it into a book that was accessible, understandable, and actionable. So you could actually figure out, "Okay those foods make sense in this setting. If I have a headache, do this. If I've got weak muscles, do this. If I have no energy, do that. If I want to get my blood pressure down, here's another game plan over here. This will help my eyesight, that'll help my libido." All of that becomes part of the bigger story of tuning up your body, and I just wanted to give you the data, again in a fun way so that you could use it, and a lot of recipes to make sure you could actually take advantage of that information. But you've got to try them yourself. There's no one size fits all solution to weight, or to pain management, or to energy, et cetera. And those are important observations for us all to agree on, because otherwise you try one thing, it doesn't work, you figure nothing is going to work. If you do Google, and I challenge the listening audience, go into your browser, your Google browser and write in, 'Why am I?' That seems like an existential question, right? Your grandmother, she didn't have an answer to 'Why am I?' You might ask her why, it's deep stuff. Well guess what? It'll auto-complete in your browser of, 'Why am I so tired?' Do it right now. It's shocking. That is the number one question we're asking. And if you want the answer to why you're so tired, you go to things that are fundamentally designed to make sure we're not tired. There are certain foods that make it easier for you to feel energized. Caffeine is a little bit of a lie because caffeine just withdraws money from your own energy bank, so it's not there when you truly need it later in the day. 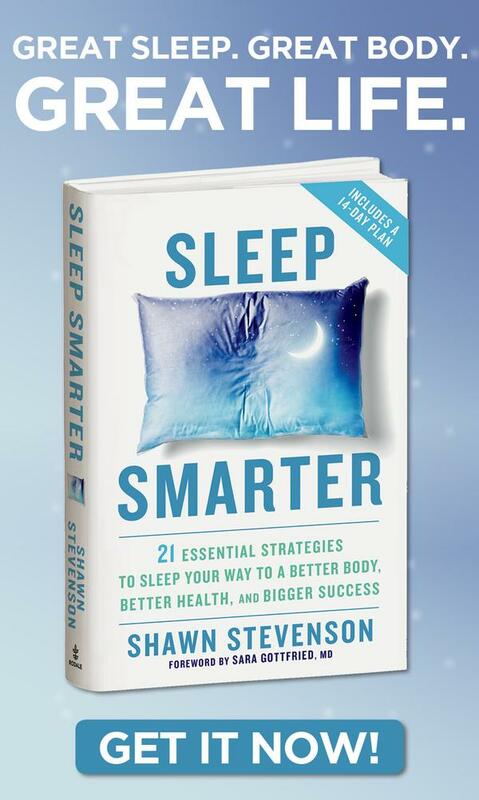 In order to sleep better, which you're an expert on, you need to be able to eat the foods that you get there. You've got all the stuff you're saying makes perfect sense, it just took us a long time to prove it because we were more focused on how do you fix a gunshot to the heart, not how does broccoli get metabolized by liver into endoles, which it does by the way, which are remarkably healing to support liver cell function and therefore help detoxify stuff that's going through your colon, which is one of the reasons we think eating broccoli reduces colon polyps, and one of the reasons why eating meat does the opposite. Dr. Mehmet Oz: Now we know the observation, but we're finally figuring out the science. Shawn Stevenson: Wow, this is profound and it just made me think about in the context of energy, we heard about this in school, ATP kind of being this energy currency of the body. It's not really in its active form until it's bonded with magnesium, alright? So it's really MGATP, so that's kind of the active form of energy experience. And so guess what the number one mineral deficiency is in our country? It's magnesium. Dr. Mehmet Oz: 80% of us. Shawn Stevenson: Yeah, it's bananas. And so folks are wondering like, "Why don't I have energy?" And just basic nutrient deficiencies. And so this is a good segue into what are some foods to find it, you know? Specifically, magnesium is one of the most important things for our heart, and you being a cardiothoracic surgeon, and that kind of being your path, let's talk about some heart healthy foods. 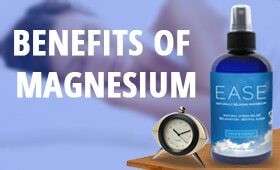 Dr. Mehmet Oz: Well magnesium, just to finish on that, we actually give magnesium to patients on the table. During open heart surgery we use magnesium for a bunch of reasons. It's a stabilizer of membranes or cells so it allows us to predict how the heart is going to function better. We use it to reduce arrhythmias, irregular heartbeats. That's one of the first things I give people when they start having palpitations. So there's many- again, "It's magnesium, who cares?" I'm telling you, it's a drug, we use it, we give big doses of it, and it is a co-factor of a lot of other metabolic processes, so please don't underestimate the importance of some of this stuff. Omega-3 fats may be the single biggest underutilized tool we have. Omega-3 fats, which are found in cold water fish, and they're there because they help the fish stay fluid and able to move in cold water. It's not an accident. That's why these omega-3 fats are liquid at room temperature, and they are fragile for that reason, and because they're fragile, food manufacturers can't add them to processed foods. They don't last. So again, a lot of the processed foods we eat, they extend the shelf life of the food. They don't extend human life, that's not their purpose, and if you want to eat omega-3s you're going to have to take it either from where the fish get it from, which is algae. Fish don't make omega-3s, they eat them from the algae in the sea. So there are algae omega-3s, which is what I take. They're created in huge vats in South Carolina. They're pure, there's no toxins in them, they're building blocks for your own body to make what you need, and the reason you need omega-3 fats- or you can take fish oils or eat fish. Salmon, cold water fish, sardines, eat those things. Young fish, so they don't have a lot of toxins in them. But the reason omega-3s are important is 60% of our brains are fat. We are truly fatheads. I think you all knew that probably, but I can confirm it for you, and you want to make the membranes of the cells healthy, and omega-3 fats are flexible fats. They bend around a lot, that's how they get the fish to move, so you want your brain cells to be flexible. Saturated fats are rigid, right? They're butter. I mean they're hard at room temperature, and in your brain, they're also sort of hard. So your brain cells aren't quite as flexible, which means they can't communicate with each other quite as well. That makes you less active and less able to adapt to the world around you. That's a problem because when you can't cope, that's stress. See stress isn't something bad happening to you, stress is not being able to respond to what happens to you. So if I can give you omega-3s and allow your brain to function, we know that it helps the IQ in children because that's why all infant formula in America is by law required to have omega-3s in it, and in countries where it's not required, we worry about the kids because mother's milk has omega-3s. That's why moms get depressed. When moms are having a child, all the omega-3s go to the baby, the mother's brain doesn't have omega-3s, so she can't cope with the world so she gets depressed. That's why we give her omega-3 supplements in prenatal and perinatal vitamins to moms. But for everyone listening out there, if you're not pregnant or having heart surgery, it still means you've got to have omega-3s. It also helps with arrhythmias, which is why I like it as a heart specialist. And it's a food, it's not rocket supplement. If you're not going to get it in the food, take it as a supplement. But it's right there for you, and it's pretty comfortable advice. Shawn Stevenson: Yeah, that's so good. So omega-3s and specifically DHA, EPA. ALA, the plant form, is a little bit- your body has to go through kind of a rigorous process to convert it, it's not that efficient, so I'm glad that you brought up eat fish and/or fish oil, algae oil, there's marine phytoplankton, krill oil, lots of stuff to choose from depending on where your ethics lie. But I do- yeah definitely think it's super, super important, so thank you for sharing that. Dr. Mehmet Oz: And the ALAs, as you know, are walnuts and other food sources, which I like too because those are- you need those omega-3s too, it's just not quite what we were talking about. Shawn Stevenson: Yeah. So you also talk about flavanols. So what exactly- first of all, what are they? And what are some of the foods we can find them in? 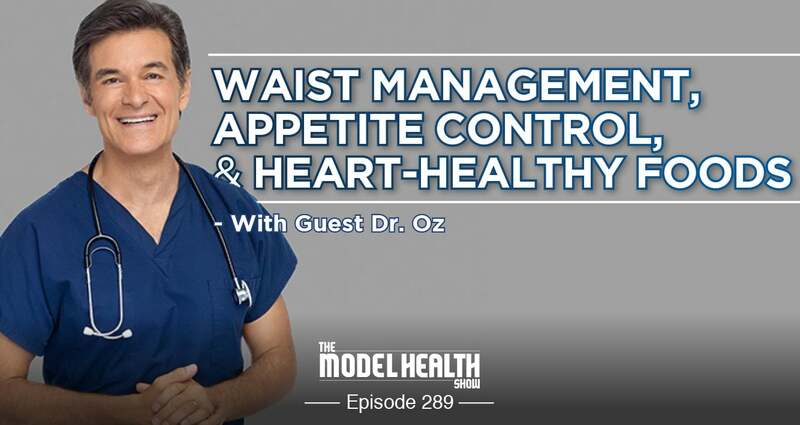 Dr. Mehmet Oz: So flavanols, like a lot of- let's take a step back. Plants, to protect themselves, have colors. It's not just an accident that all the colors of the rainbow are reflected there. They all have different ways of protecting themselves against the sun. So when the sun hits an eggplant and the purple pigment is shown there, it reflects the purple, it's protecting itself. Carrots have orange carotenoids protecting themselves. So all of these different colors are there because of a very specific reason. When you eat those colors and you get those flavanols, those antioxidant compounds that are the building blocks of plant protection, you are actually getting the plant's powerful protective tools to use yourself, and they work as antioxidants to resuscitate different systems within the body. And you want the cells, the mitochondria in the cells which are the powerplants, to be able to make energy, and they're going to give off toxic waste. You want to be able to clean that waste up. That's not a bad thing. That toxic stuff can be used to kill cancer cells too, so you just want to be able to clean it up when your body wants to clean it up, and let it go when your body doesn't want to. When you exercise, you build up antioxidants and anti-inflammatory compounds are released, which is a good thing. That's why you build bigger muscles, it's how you build up an adaptive ability, but you want to quench that appetite with flavanols as well. So all the colorful foods that you see in the produce stand that don't have food labels, because remember if they don't have food labels, they're probably healthy for you because they don't have to put a food label on it. Those are all the ones you want to get in. You can take them as supplements as well if you're not going to eat a healthy diet. I personally take a multi-vitamin pill daily because I know that my diet's not always perfect even though I'm pretty careful, and I know that I speak for most Americans because 99% of us don't eat a diet that is either well designed enough for our personal use, or because the food itself has changed. No longer can you keep up. Like an apple doesn't have the nutrients it had a hundred years ago just because of how we grow it. So as a backup plan, I take an anti-oxidant vitamin pack, mix it up, makes sense. Shawn Stevenson: Got it. Got it. Awesome. So there are so many things I want to ask you about, but I would love to know about your personal morning routine. What does that look like for you? Dr. Mehmet Oz: Well you're one of the big advocates for making sure you do activity in the morning because it affects everything else that happens during your day and your sleep the next night. So when I get up in the morning, I do a seven minute workout, and it's seven minutes because I know I'll do it and then I can think to myself all day long what a great person I am. Oh my goodness, I did my workout already, how organized I am. Shawn Stevenson: Pat yourself on the back. Dr. Mehmet Oz: Exactly. I give myself rotator cuff injuries patting myself on the back. But the workout is simple, it's based on sun salutation which is a traditional way that people in yoga would wake up. So anyone can- I actually have- it's called the seven minute workout, I've got it on my website. I first did it on The Oprah Show years ago, and of course as you know Oprah was my mentor, my partner on my current endeavor, The Dr. Oz Show. So it's on all of our websites, but it's a sun salutation with pushups and sit-ups, and a little stretch to go along with it. And I can do the whole thing in seven minutes, and I say that with great gusto because I don't want to work out in the morning any more than any of you listening do. But if I only have a few minutes, and I can start, and two minutes in I'm already thinking, "Hey, I'm almost done. I've got five minutes left." And the bigger challenge for all of you, is are you willing to admit that you are so disorganized, so discombobulated in your life, that you can't carve out seven minutes in the morning? I mean really? Please? So that's probably the biggest takeaway. Take those seven minutes, practically just stress and have mindfulness for seven minutes. Sit on the toilet, put the lid down, don't go to the bathroom, just be calm. Anything like that that'll get you centered first thing in the morning is going to help you, and that's my morning routine. Shawn Stevenson: Perfect, perfect. Alright so you have a new podcast. Dr. Mehmet Oz: I'm trying to follow in your footstep, the big ones. I love my TV show, and there are some conversations that work better in a podcast form, especially when I get a lot of big-time controversial people on, and you've got to talk for a bit to really dive into what's going down, and a lot of these topics really do well in the medium that you've pioneered in podcasts. So it's launching- it just launched actually, I'm very proud of it. I'm working with people that I adore dearly, and it's an opportunity for me to call people that I'm really curious about, lock them in a room with me for a cage fight- a verbal cage fight for a half hour, and tease out stuff that really makes a difference. So whether it's the biggest unanswered questions in the universe, literally consciousness, what is it at its core? What are the building blocks of the universe? Those are sort of big cosmic questions, or what is it that's holding us back from being the person we can become, and what are the big action steps to get us there? These are all the themes I want to touch on, and so it's a super charged effort to get people engaged in their own life, and I hope you all enjoy it. Shawn Stevenson: Wow, definitely. Of course we'll put the links to everything in the show notes for you guys to connect, and definitely check out the new podcast. Dr. Oz, you know he brings the goods. So final question for you. What is the model that you're here to set for other people with the way that you live your life personally? Dr. Mehmet Oz: I think it's about kindness, and I say that knowing that a lot of times we rely on our intellect or our passion. Passion happens to be my probably modus operandi, people know me for being a passionate person. I care a lot, but you can do things kindly or not kindly, and that intent becomes evident over time, and as a backup hint, it's always possible to be kind. So no matter what you've got to say, even if it sounds difficult, or even if it's challenging, even if you've got to say it because it's the truth and it hurts, if you say it with kindness, people get over that. Shawn Stevenson: Yeah, love it. Love it, and this is something just to- it echoes from your team, this is something I've heard from them, "He's just a good guy. He's a kind person." And the people around you love you for a reason, and I just want to thank you so much for stepping out of the comfort zone, and really getting this information out for people, even with all of the tensions that might surround you, thank you so much for being a leader. I really do appreciate you. Dr. Mehmet Oz: God bless you. God bless you. Thank you very much. Shawn Stevenson: Everybody, Dr. Oz. Thank you so much for tuning into this episode of the show. I hope you got a lot of value out of this, and there were so many great takeaways and insights. One of them that really jumped out was when he talked about people who snack on nuts. It's one of those things that you would think looking at it as being a food that's high in fat, and high in calories, that we might see an increase in weight gain, but it's just not the case. And for example, so I went and dug into the research on this, and one study published in the International Journal of Obesity and Related Metabolic Disorders tracked the results of sixty-five overweight or obese individuals when they were on a low-calorie diet supplemented with almonds, so that's one category, versus a low-calorie diet supplemented with complex carbs. And here's what they found, the folks consumed an equal amount of calories, protein, cholesterol, and fat. Alright? At the end of a twenty-four week period, those on the almond diet, who had included almonds, had a 62% greater reduction in weight and BMI, 50% greater reduction in waist circumference, and a 56% greater reduction in fat mass. That is insane, alright? Same amount of calories, but they're eating more nuts. They're including nuts in their diet and seeing this kind of transformation versus eating complex carbs to fill that space. That tells you, when we're talking about how calories are not the thing, if you think about even the science of calories, it's a very kind of ghostly thing to talk about, right? There are so many different holes in that, thinking that if we just manage calories or the caloric density of food, that we're going to be able to manage our weight. What constitutes those calories really matters a lot and what it does to your hormones, what it does to your neurotransmitters. It's very different in what a handful of almonds does or Brazil nuts or pistachios does to your metabolism versus a Chocodile or a Twinkies, alright? Shout-out to Chocodile, that was my jam, alright? The cream filling. What is it even made of? Right? What is it made of? Mystery filling, alright? Mystery filling. Avoid the mystery filling, eat some more nuts, include those in your diet. I think that was one of the big takeaways. And by the way, so a lot of times- so nuts also can be pretty expensive, so for myself and my family, we get a lot of our things from- things like Brazil nuts, which are great for testosterone, selenium- incredibly high in selenium, I get those from Thrive Market. Also pine nuts, pistachios. We're saving 25% to 50% what you would pay at a health food store. Here's the thing, they're organic. Because you deal with the same issues if you're eating pesticide, fungicide, herbicide sprayed almonds, right? You don't want to consume that stuff, so if you're going and getting the better options, sometimes it could be more expensive, but with Thrive Market, they're taking that out of the equation. I highly, highly encourage you. And I've tracked this already, they've got a tracker for you that tells you how much money you save. I'm on pace to save about $700 this year in my grocery bill simply by getting a lot of things that I might get from someplace like Whole Foods or your local health food store from Thrive Market. Again, 25% to 50% off the retail price you'd be paying. And here's the thing, they have categories. They curate things for you from the best companies. So they've got a paleo category, vegan, vegetarian, gluten-free, whatever it is you're looking for, non-GMO, fair trade. They have those things curated for you from the very best companies, and it helps with shopping and making things simple. Alright? We love them so much, and here's the thing as well, you're not just getting 25% to 50% off. By going to www.ThriveMarket.com/modelhealth, in addition to the 25% off to 50% off you're already getting, you get an additional 25% off your entire cart for your first purchase, alright? www.ThriveMarket.com/modelhealth. Alright? Model health is together as one word, additional 25% off your entire cart, plus you get free shipping, alright? They're going to send it to you for free. Alright? Thirty day free membership to Thrive Market, alright? And I want you to make sure you keep that membership because it's just going to keep paying you back over, and over, and over again to get your family the very best foods, the very best personal care products, home cleaning products without all these crazy chemicals and things that we're finding more and more are dangerous to human health, alright? So they've got- this is a great place to get your nuts, snacks, you can get your- this is where I get my coconut oil, this is where we get non-perishable items, nut butters, snacks for the kids, again personal care products. Head over there, check them out, alright? Www.ThriveMarket.com/modelhealth. And again, thank you so much for tuning into this episode. One of the things that he ended with was talking about his model is demonstrating kindness, and I really can't stress that enough how I'm seeing this in these world class folks, is this thread of giving, is this thread of kindness as well, and just wanting to go the extra mile for other people. Just because they care and it's the right thing to do. This is why we're all together here as a part of this community, is to not just take care of our own health and wellbeing, which we need to do that first, but extending that out and doing a little bit more, and giving a little bit more to the people that we care about, showing up as the best version of ourselves, and that is when we can really create true change. Alright, so again, thank you so much for tuning into this episode. We've got some incredible stuff coming up for you, so make sure to stay tuned. Take care, have an amazing day, and I'll talk with you soon. Hey Shawn, firstly thanks so much for all the knowledge you share. I felt like I struck gold when I found your podcast. Just a question that’s been weighing on me for a while…what are your thoughts on Peter d’adamo theory of certain foods for certain blood types. (Eat righf gor your tyoe) There is some major parts of my diet such as avocado and chicken and coconut etc that I should avoid if I was to follow it. I don’t want to get to 60 and think damn this auto immune disease…he was obviously right 😏 woukd apprdcuatd any thoughts.